At 55 mm wide, the Antelope Hill is our largest tire yet. Antelope Hill is the unofficial name of the last great climb on the 360 mile Oregon Outback mixed-surface ride/race. The gravel is quite loose in places, and the extra floatation of the Antelope Hill tires gives you more speed and security when the going gets really rough. Antelope Hill itself is a beautiful paved climb, so we designed this tire to roll as fast and grip as well as a good racing tire. With this tire, you truly have the best of both worlds. The Antelope Hill also can transform the performance of your 29er mountain bike on gravel or paved roads. However, it is not intended for truly technical terrain, and with its supple sidewalls, it will not climb out of ruts like a stiff mountain bike tire. The Antelope Hill is tubeless-compatible in both standard and extralight casings. When used with tubes, we recommend the SV19or SV19A tubes. 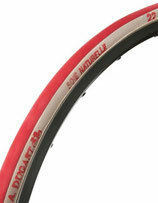 This tyre is available with natural skin colored (white) or black casing. Super fast tubular track tire, designed to win all time trial disciplines at the Olympic Games and beyond. 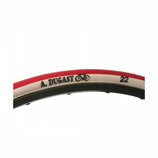 Cycling track tyre for six-day events and training. The diamond tread provides excellent grip on both wooden and concrete tracks. To reduce rolling resistance, the sidewalls do not have a protective layer (we recommend using wheel bags during transport to protect the sidewalls). The diamond tread provides excellent grip on both wooden and concrete tracks. Cycling track tyre for six-day event. The silk fibre will give you extra comfortThe diamond tread provides excellent grip on both wooden and concrete tracks. To reduce rolling resistance, the sidewalls do not have a protective layer (we recommend using wheel bags during transport to protect the sidewalls). The diamond tread provides excellent grip on both wooden and concrete tracks. Strong tubular endurance track tire, also suitable for rougher track surfaces like concrete. 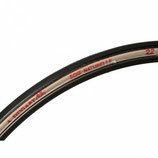 Tubular all-round tire for all indoor track disciplines. Strong clincher endurance track tire, also suitable for rougher track surfaces like concrete. The clincher version of the all-round tire for all indoor track disciplines. All-purpose competition tyre. The tread provides excellent grip on both dry and wet road surfaces. The larger road tyres offer you extra comfort with a lower rolling resistance. All our road tyres have a neoprene coating on the sidewalls to protect agains water. Pro competition tyre for bad surfaces. Tread structure and high-quality rubber guarantee optimum grip on both dry and wet road surfaces. The Paris Roubaix tyre is an excellent tyre to use in the spring, when weather conditions are often uncertain. 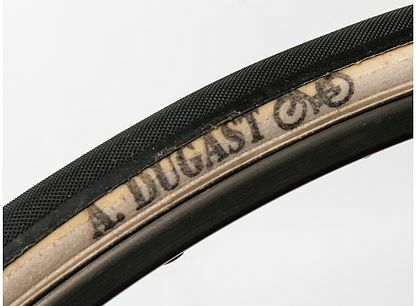 This tyre has especially been developed to ride with in bad weather.